2The last leg of the road consisted in choosing which photos to include from Bill Ferris’s rich portfolio and, even harder, deciding on the volume’s lay out. Michel’s interests are so vast and multiform that contributors tapped a wealth of topics. So, the arrangement is as arbitrary as any other, except that, within some series, it follows a roughly chronological order. 3Beginning with “Links across the waters” seemed appropriate for an indefatigable traveler like Michel. We start with Olaudah Equiano, move on to Victor Séjour, then Palmer Hayden who is followed by black intellectuals traveling in Europe between the wars. War leads us to taking a leap over the years with Primo Levi and Frederick Douglass. We go back to the US with a German scholar at Howard, and end the loop with Chester Himes’s influence on French-speaking African novelists setting their stories in France. 4“Poets corner” ushers is James Emanuel and Ishmael Reed, as well as scholarly comments on Sterling Brown and Gwendolyn Brooks. 5“Tributes” brings together John A Williams, as well as fellow scholars who have shared Michel’s interests and a former doctoral student. There are many of us, including myself whom Michel advised unofficially when, after a couple of years, my adviser gave me the name of a “real specialist” (those were her very words) she felt I must get in touch with. 6Now for “Fiction corner”. Why not begin with Elizabeth Spencer, a white lady who writes about the South of her youth? Then we go back to Claude McKay (who could have found a niche in the first section); turn to Dorothy West’s vision of the thirties; and proceed to the contemporary scene with two vastly different approaches of John Wideman, followed by Toni Morrison. Last but not least in the fiction suite, Percival Everett playfully brings up the hopeless task of roping meaning in. 7“The Caribbean and the mainland” could have moved up to the first section along with McKay, were it not for the French passion for classification. So, we find in this section Eric Walrond and Vernon Anderson, Michelle Cliff’s acerbic critique of the US. 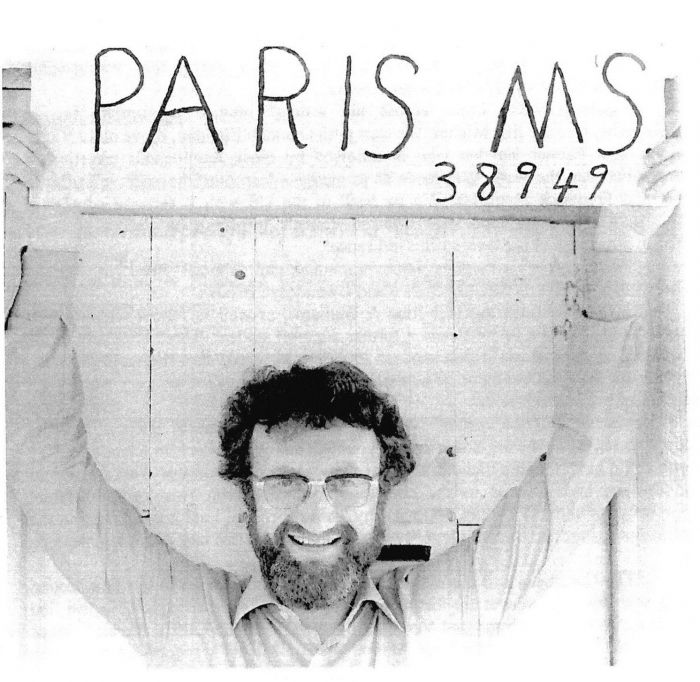 We then turn to René Maran, one of Michel’s special interests who deserves to be better known, and conclude with the seeds and meaning of immigration for Cuban-American writers. 8“Social concerns”, though not least in Michel’s spheres of interest, come last. We take a deep plunge into US racism towards black troops, and then move into Hollywood’s racial code. There follows a study of the itineraries of black domestics; and the volume ends with as contemporary a piece as can be, on the controversial “new” Harlem renaissance. 9As I write this, I realize I should have begun by thanking my co-conspirators. But gratitude must first go to Michel who, in a way, has inspired what follows and brought us together through seminars and conferences over the years. JULIEN, Claude. 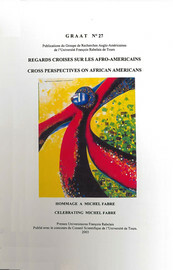 Introduction In : Regards croisés sur les Afro-Américains : Mélange en l'honneur de Michel Fabre [en ligne]. Tours : Presses universitaires François-Rabelais, 2003 (généré le 20 avril 2019). Disponible sur Internet : <http://books.openedition.org/pufr/4149>. ISBN : 9782869064690. DOI : 10.4000/books.pufr.4149. Julien, Claude. “Introduction”. Julien, Claude. Regards croisés sur les Afro-Américains : Mélange en l'honneur de Michel Fabre. Tours : Presses universitaires François-Rabelais, 2003. (pp. 5-6) Web. <http://books.openedition.org/pufr/4149>.